T.D.C: 12 Days of Christmas | Art Print Giveaways! 12 Days of Christmas | Art Print Giveaways! I hope you're enjoying your weekend. Thanks to those of you who are continuing to check in on the blog. You're certainly onto a good thing, as I have two more lovely giveaways for you today! 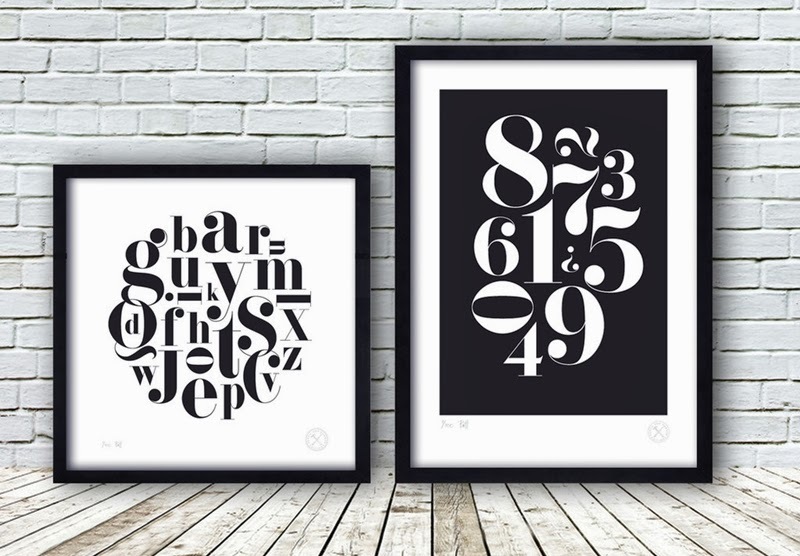 Back in August I introduced you to Pencil and Hammer, an online art store here in Auckland specialising in typographic art and quirky illustrative prints. The collection is constantly growing, and these new black and white prints are among my current favourites. To be in to win an A3 print of you choice, email me at enter@thedesignchaser.com with PENCIL AND HAMMER in the subject line, and let me know your full name. Please note that the print is unframed, and the offer excludes personalised ones. 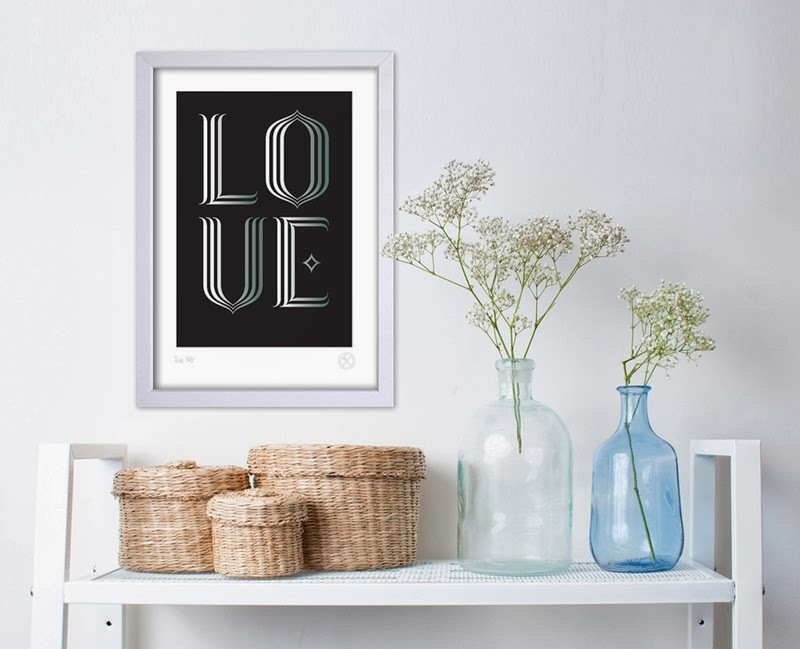 In addition to the giveaway, Pencil and Hammer are offering 10% off all prints, to worldwide readers from now through to the 31st of December 2013, along with free shipping New Zealand-wide. To redeem, enter dcchristmas at checkout. Shop the full collection here, and make sure you sign up to their newsletter to stay in the loop! These next artworks from George Art are just delightful. 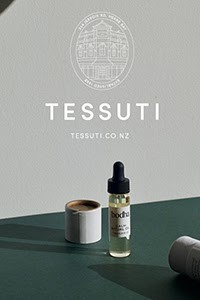 Part of a project called Prints George, they have been lovingly created by Auckland mother of two and freelance graphic designer Georgia Williams. 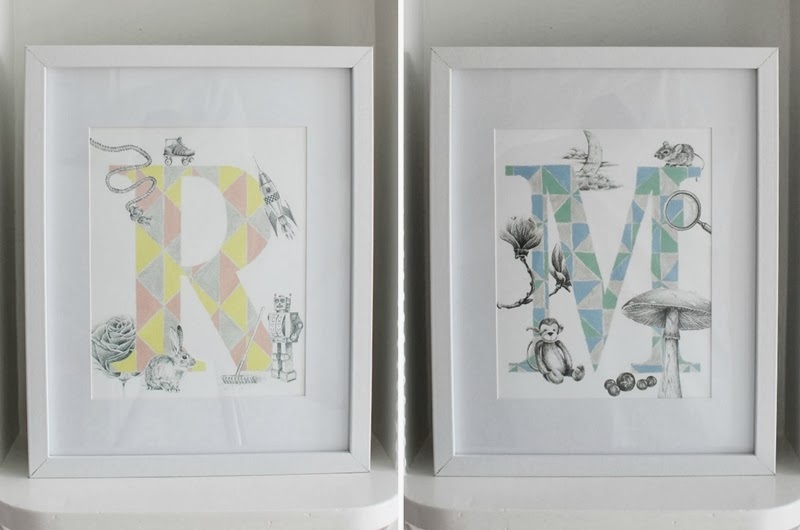 Featuring geometric alphabet letters in cute colour combos, layered with sweet little illustrations, I think they would be the perfect addition to any nursery. 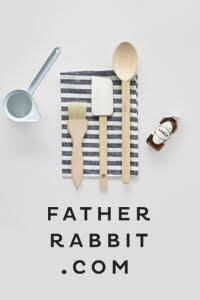 They would also make a very special Christmas or new baby present! Signed and dated, the 8" x 10" (unframed) prints are available to purchase on Felt and Etsy. If you'd like to enter the draw to win on of these gorgeous prints in the letter of your choice, simply email me as above with GEORGE ART in the subject line. Entries close on Wednesday, 11th of December and the winners will be selected via random.org, and contacted via email, so that we can arrange your choice of prints and shipping. All winners will be announced on the blog at the end of the series. Update: These giveaways are now closed, and the winners have been notified. Thanks to everyone who entered and to both companies for their generous prizes!